At first there were only the images themselves, maybe with some shooting or processing data about them if the photographer remembered to record it. Ansel Adams was careful to record exposure, but had an "unfortunate disregard for the dates of [his] negatives" and an "anti-date complex" (his words, in Examples: The Making of 40 Photographs, pp. 42–43; many years after Moonrise was taken an astronomer calculated its time as 4:05 p.m. on Oct. 31st, 1941). With a digital camera, it's as hard as ever to take pictures as good as Adams', but it's a lot easier to record the shooting data. The camera stores it automatically inside the image file. This so-called EXIF data is data about image data (the pixels themselves), or metadata. Most viewing applications display metadata for an image, and so do websites like SmugMug and Flickr. Cataloging applications like Lightroom, iView/Expression Media, and Aperture go much further: They maintain a database of images, including image metadata. That's data about data about data, or meta-metadata. You can see a bit of this in Lightroom if you open the Metadata Browser (Library module, bottom left), which lists interesting facts like the number of images for each camera and lens. Even better, Lightroom (and Aperture) use the free and open SQLite3 database, so it's very easy (for a programmer, anyway) to access their catalogs. Although Adobe doesn't document the structure of Lightroom's database, it's not hard to figure out. You can use free utilities like SQLite Database Browser (sourceforge.net/projects/sqlitebrowser) to look at the structure of the database tables and the data that's in them. That's what I did to develop a small application I call ImageReporter. 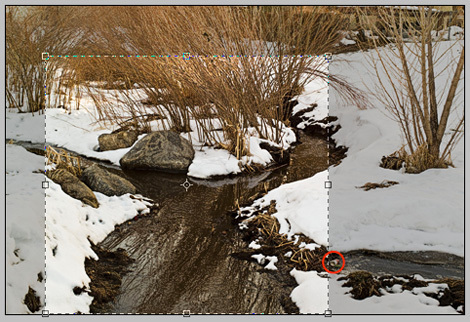 It shows a lot more than Lightroom's Metadata Browser (such as the average aspect ratio after cropping), and it also lets you filter the report by type of image (DNG, JPG, etc. ), by rating (1 star or more, etc. ), and by time interval (last 30 days, last 90 days, etc.). You can get a free copy of ImageReporter for the Mac or Windows at ImageIngester.com. If you just want to look at a sample report, I've posted one of my recent ones here. It's fun to look at the metadata summaries in Lightroom's Metadata Browser or with ImageReporter, but it's even more interesting to discover things about your photography from them. I'll give two examples of what I just learned. This is almost the only lens I use on my D200, and the only zoom. The data (meta-metadata, but I'll keep things short) shows that I'm using the lens as a wide angle. I didn't know that! I probably should think about getting a 12–24 zoom, since I appear to be at mostly wide-angle focal lengths. Maybe I really want to go wider and can't? Cropping is OK if the alternative is getting wet or showing a beer can. Otherwise, it's better to move your feet. 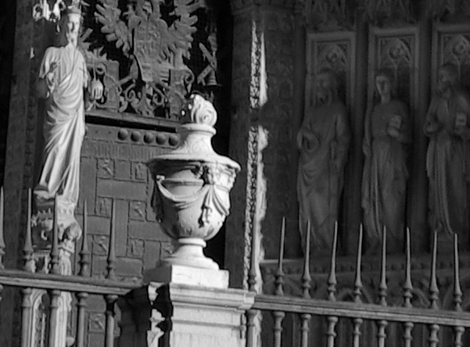 With my Leica and its 35mm lens (the only one I use), I'm cropping to 70% (by area). With my D200, I'm cropping even more, to 60%. Not only is that with a zoom, which ought to allow me to fill the frame, but the focal-length data I showed above says that I'm at the wide end of the range. Sure seems like I ought to do more careful visualization before I click the shutter and probably zoom in a bit. No, it's not an aspect-ratio issue, because I'm typically cropping to close to 1.5:1 on the D200. Still, the data shows that I need to move my feet more when I'm shooting with the Leica, and, with the D200, I need to do that and also zoom in. Maybe I don't need that 12–24mm zoom after all. You can also use meta-metadata to learn about other photographers. I just got 580 original JPEGs shot by the photographer my niece hired for her wedding last June. I imported them into Lightroom, assigned them to the Quick Collection, and then used an option in ImageReporter that limits its scope just to that collection. Looking at the report, I now know a bit about how that photographer worked. The two bulges (8%) at 70mm and 90mm make me think that this photographer used two zooms on his 1D (or two 1D cameras), a 24–85mm (rounded to 20mm and 90mm) and a 70mm–200mm. That would make sense for a wedding photographer. If Canon made a 24–200mm, he'd probably buy one. The 30D (or maybe two of them) looks like it may have had a zoom from around 30mm to 70mm, stopping there because there are no shots between 70mm and 200mm. 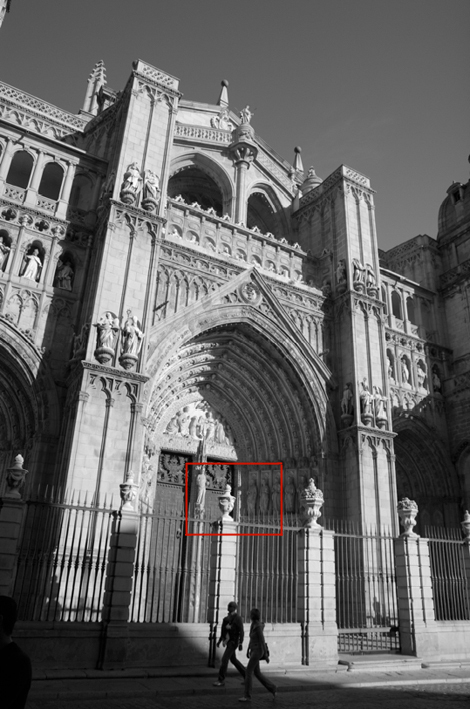 It's probably not a 24–70mm, because ImageReporter says there were 50 shots taken within 10mm of 30mm and none wider. It must have been Canon's 28–70mm ƒ/2.8. Indeed I found at least one shot made with that camera at 28mm and ƒ/2.8, so it could not have been a slower zoom. The gap from 70mm to 200mm means either that he put a 200mm prime lens on a 30D or he had the 70–200mm on the 30D zoomed all the way in while he had the wider zoom on another body. This makes sense, and is probably part of his normal work pattern during certain parts of the wedding. If I spent more time on the photos themselves I could probably figure this out for sure. I didn't pay that much attention to the photographer during the wedding, but it's definitely interesting to find out a bit about how he worked from his meta-metadata. I found out some things about my own shooting, too. I don't need a full-frame 35mm digital, or even a medium-format digital back, at least not yet. All I need to do is try harder to compose in the viewfinder instead of in Lightroom. For posting on Photoborg.org, I need examples of family pictures, pictures of kids or babies, pictures of pets (yes, including cats! ), or other common subjects that have personal meaning for the photographer, along with 200-400 words about how you took the picture. (Please, no flowers or scenics, although pictures of your own garden are okay if you're a gardener.) Pictures of your favorite scrapbook pages are also good, as long as they have at least one photograph on the page. The main criterion is that it should be a picture you personally really like, whether or not you think it's objectively "good." I prefer pictures taken with point-and-shoots or digicams, or entry-level SLRs, digital or film, and I would prefer work from relatively inexperienced photographers, although you won't be disqualified on that score. In the write-up, I'm looking for how you approached the subject and what the picture means to you, as much as technique. If you'd like to submit a picture, please email a JPEG no larger than 940 pixels in the long dimension, along with your words in the body of the email, to my email address (which you can find in the right-hand column). Submissions won't be individually acknowledged and it may be a while before they show up on the site. Please use the words "PHOTOBORG SUBMISSION" in the subject line of your email. There is no payment at this time, although that may be possible in the future. We will use the picture one time only, and all rights stay with you. "Tokyo, Japan—Sony Corporation today announced the development of a 35mm full size (diagonal: 43.3mm/Type 2.7) 24.81 effective megapixel, ultra-high speed high image quality CMOS image sensor designed to meet the increasing requirement for rapid image capture and advanced picture quality within digital SLR cameras...."
In a press release dated this morning, Sony Global has announced the new "full-frame" (i.e., 35mm-sized) imaging chipset presumably slated for the postulated "Nikon D3x" and "Sony A900." At 24.81 megapixels, the new CMOS chip is solidly within the range of what used to be the resolution territory of medium-format digital backs. Sony's press release emphasizes the "ultra responsive performance" and "broad dynamic range" and says, " Sony will target for mass production of this CMOS image sensor within this year." Featured Comment by Ctein: "So much misinformation, so little time [smile]. How many people test the claims they make or just repeat what they read somewhere? Me, I do a lot of testing (I get paid for it, after all). "1. Just about any good (not great) camera lens resolves over 100 lp/mm over a fair range of apertures. Really good lenses hit 200 lp/mm and higher. This sensor doesn't even come close to exceeding the capabilities of camera lenses. "2. Pixel pitch ain't resolution. Assuming a Bayer filter array, the actual resolving capability of the camera will be about two-thirds the pixel pitch. With a slight crop, this sensor can produce a Super B print at 300 ppi; that will correspond to 200 lines per inch of actual resolution or 4 lp/mm. 4 lp/mm is a nice, sharp print, but it's nowhere near what viewers of even modest sensitivity can discern. Put that print between ones made with half the number of pixels and twice the number of pixels and said viewer will easily be able to sort them by sharpness. You may not feel the need of the extra resolution, but it will hardly be wasted on people who want it. "3. Do not confuse "need" with "usefulness." Few photographers need medium format over 35mm; even fewer need 4x5" over medium format. No one in their right mind would ever argue that the larger formats don't have their benefits or are a waste of time and money. Get the point? "4. Unless you're obsessive about never, ever cropping photographs, basing your quality estimates on using the full 24-megapixel files is, at best, optimistic. "5. Dynamic range in high-end DSLRs already exceeds by substantial margin what people got with color slide or B&W negative film. It rivals the extreme limits of color negative film. Sacrificing at most one stop of that range (and we don't even know if it's going to sacrifice that, because sensors are nowhere near their physical limits) is hardly a major loss of quality. "6. 75–150 MB files don't choke even my ancient Athlon 2400+ 32-bit machine with a whole 2 GB of RAM. A $1200 Macbook will just gobble them as snacks. This sensor won't tax anyone's computing or storage capabilities beyond affordability. "Will most of you need a 24-megapixel camera? Absolutely not. Could most of you benefit from a 24-megapixel camera? Absolutely. 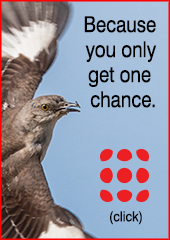 "Will most of us be able to afford it? Highly unlikely [sigh]. (OK, on this point I am just speculating; no data here)." How do you say ISO? In addition to the D60 DSLR—essentially a repositioning of the unexpectedly popular D40x—Nikon has introduced three new lenses for PMA—one for amateurs, one for a mix of amateurs and pros, and one for pros. 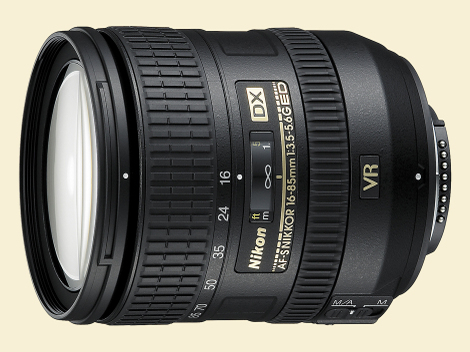 The first, a 16–85mm VR, nicely fills a gaping hole in the DX lineup that sorely needed plugging. As we noted in our (Joint) Lens of the Year 2007 Award, "...the market in its infinite wisdom hath spoken: big, slowish 5X zooms are the wave of the moment in standard lenses"...and now Nikon has one with VR. (Actually, this one's 5.3X. "Same difference," as the saying goes.) The new lens is sure to move to the head of the class as a "normal zoom" for the better class of DX Nikons, complementing the new budget normal zoom that has VR (which becomes, incidentally, the kit lens on the new D60.) Price, about $650. Of interest to both pros and many serious amateurs is a 60mm macro lens (Nikon, as everyone knows, has called their macro lenses "micros" since time immemorial. Technically this is more correct, since "macro" means—or originally meant—lenses with magnifications of greater than 1:1, which few "macro" camera lenses have). The AF-S Micro Nikkor 60mm ƒ/2.8G ED is the heir to a long and august line of medium-focal-length Micro lenses going back decades. (Don't ask us why this one doesn't have VR like the 105mm—are you supposed to buy the 105mm if you do things like hand-held flower shots? Whatever; it's not nice to question Mother Nikon.) The new Micro will work equally well as a 60mm on the FX D3 or on DX-sensor models as a 90mm-e. Price: around $550. The last is an absolutely stunning 24mm tilt-shift lens that D3-shooting pros, at least the kind who ever do architecture or interiors, will gobble up. (Landscapists should love it too.) 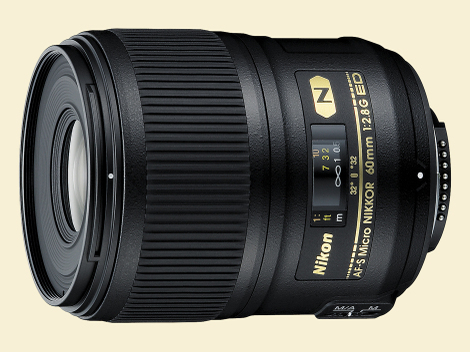 The PC-E Nikkor 24mm ƒ/3.5D ED (the new "E" designation denotes an electromagnetic diaphragm that automatically controls aperture with the latest Nikon D-SLR cameras) has three Extra-low Dispersion (ED) glass elements, three aspherical lens elements, and Nikon’s Nano Crystal Coat in addition to Nikon Super Integrated coating to virtually eliminate ghosting and flare. The lens has +/– 11.5mm of shift, 8.5° of tilt, and revolves 90°. The ~$1,930 lens is the first of three new PC-E Nikkor lenses—the other two are coming this summer. 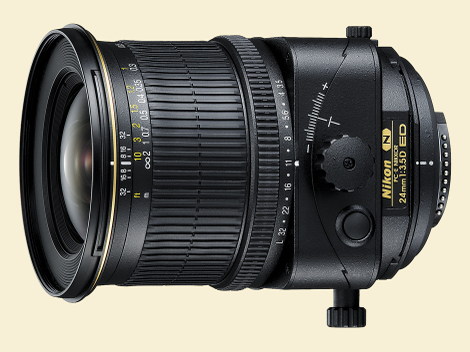 Sure to be a beauty, the PC-E 24mm will probably fly under the radar of many hobbyists, but it's great news for pros. Featured Comment by Radka: "As you can see here, VR uses two angular velocity meters. That is, VR compensates only the angular motion (pitch and yaw) of the camera, not the linear motion. It's okay for larger distances, because then the blur is caused mostly by the angular motion, but the closer you get, the bigger the influence of linear motion. That's why VR doesn't work that well for macro. If you check Nikon's press release from 2/21/2006 announcing their 100mm macro with VR, you will find there in small print the following statement: 'VR II Vibration Reduction technology allows photographers to shoot hand-held at as many as 4 shutter speeds slower* (at near infinity to 1/3x shooting and approx. 1 step at near 1:1) than would otherwise be possible, assuring dramatically sharper hand-held images.' With 60mm macro, the working distance is even smaller, so it is even a bigger problem." The new K20D (I've requested a sample to test) has a shot-to-shot rate of 3 FPS. This has brought it under clangorous criticism on some forum boards, from people who were "waiting" for "improvement" in this area. I sometimes wonder what these people are shooting. I've had a rich 35-year history as a committed amateur photographer with intermittent stints as a professional, and I don't think I've ever wanted or needed a "motor drive." I used my first "serious" camera, a Contax 139Q, with a motor winder that enabled a blistering almost-2 FPS (I think the real speed was 1.8 FPS), but even then all I really cared about was that the camera was automatically ready for the next shot. That was just a luxury, however (or laziness)—old-fashioned thumb-wind was fine. I do think I'd occasionally be frustrated by a digital camera that shot 1 FPS, but I can't imagine ever being dissatisfied with 3 FPS. Postscript: Two more stories come to mind in this context. The first is a memory from a lecture class in optics I audited at the University of Maryland in the early '80s. Two friends had brought their cameras to class—metal 35mm SLRs with large motor-drive attachments—and as we were waiting around for the class to start, they were dry-firing their cameras by turns to see whose camera sounded faster. Another guy in the class, a few rows away from the first two, fished around in his knapsack and extracted an SLR with an even bigger motor-drive, which he dry-fired in turn. His was audibly fastest. No one said anything, but the understanding was clear: he had won. The other was a story I heard once about an ill-informed interviewer asking Richard Avedon, who was shooting 8x10 at the time, if he had a motorized camera. 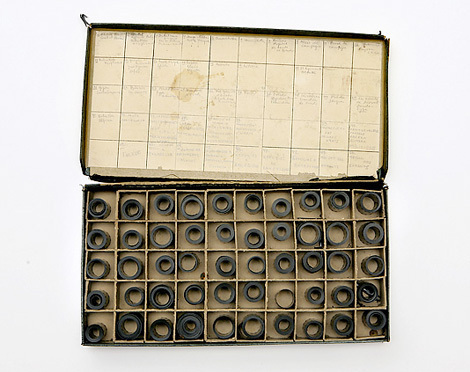 Avedon, referring to the lackey who inserted and removed his film holders and pulled his dark slides for him, replied, "I have a motorized assistant." Featured Comment by Jeffrey Glass: "Well, my most recent camera purchase was a circa 1951 Rolleicord V. I think it has a burst rate of about 3 to 7 fpm." Featured Comment by Ann: "Until 2005, I used a manual focus, manual advance Olympus OM-10. It was fine, and I never worried about burst rate or autofocus speed. I just never shot the kind of subjects that required a camera to have those attributes. When I got my D70 in 2005, I found that autofocus and the 3 fps frame rate made it easier to shoot in a more photojournalistic mode, so the subjects I shot expanded because the camera allowed me to do more. When I got the D300 a couple of months ago, the even faster response time and 6 fps allowed me to do even more with sports, kids, and birds in flight, so the types of photography I do now expanded into those areas. "The bottom line is that each of the features on the camera is a tool in my photographic toolkit. I didn't buy any of my cameras because of their speed, but the speed is a tool that I didn't have before, and it allows me to do the kind of work that I couldn't do before." STATEMENT by Rachel Papo: "The life of an eighteen-year-old girl in Israel is interrupted when she is plucked out of her environment at an age when sexual, educational, and family values are at their highest exploration point. She is then placed in a rigorous institution, where individuality becomes a secondary matter, making room for nationalism. 'I solemnly swear…to devote all of my strength and to sacrifice my life to protect the land and the liberty of Israel,' repeats the newly recruited soldier during her swearing-in ceremony. She enters the two-year period in which she will change from a girl to a woman, a teenager to an adult, all under a militaristic, masculine environment, and in the confines of an army that is engaged in daily war and conflict. 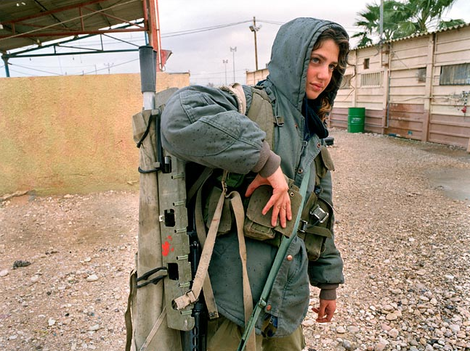 "I decided to portray female soldiers in Israel during their mandatory military service as a way for me to revisit my own experience...."
Featured Comment by Michael C. Gaudet: "I remember seeing this as a show at the 92nd Street Y in New York. The scale of the images made them more remarkable than you can tell from little web images, because it really brought the girls to life, and made you feel like you were a transparently there, like a worried mother's mind, instead of seeing things as the photographer. It's one of those rare cases where seeing photographs in person made me feel like one of the angels in Wim Wenders' Wings of Desire." A quick question (I'm just curious). Anybody ever taken a photography workshop? Was it fun? Would you do it again? Would you recommend it to others? Anybody planning to take a workshop in calendar '08? Featured Comment by Micahel Steinbach: "And the quick answer is: yes, yes, yes, yes and yes." Thousands of negatives of photographs taken by Robert Capa during the Spanish Civil War, long thought to be lost forever, have resurfaced. Photo by Tony Cenicola. The suitcase—actually three flimsy cardboard valises—contained thousands of negatives of pictures that Robert Capa, one of the pioneers of modern war photography, took during the Spanish Civil War before he fled Europe for America in 1939, leaving behind the contents of his Paris darkroom. Alan Murphy said he was "over the moon" when he got his camera back—in Australia!—from a family of dedicated amateur detectives in New York City. At dusk on New Year's Eve, Erika Gunderson got into a taxi in New York City and entered a digital-age mystery. Sitting on the back seat was a nice Canon digital camera. Gunderson asked the driver which previous passenger might have left it, but the cabbie didn't seem to care. So Gunderson brought it home and showed it to her fiancé, Brian Ascher. They decided that the only right thing to do was to find the owner. Apparently, Colorado Rep. Douglas Bruce just couldn't wait to start being a hypocrite. Hours before his swearing in, the newly appointed Republican representative delivered a kick to photographer Javier Manzano of The Rocky Mountain News during a prayer, of all things. Apparently Rep. Bruce's sense of Christian fellowship doesn't even proscribe actual physical assaults during prayers, never mind at other times. In the ensuing brouhaha, video of the action—although it doesn't show the actual blow (which Bruce variously describes as a "tap," a "nudge," and "putting the bottom of my shoe against his exposed knee")—was plastered all over the internet, including here on TOP (on Wednesday the 16th). Bruce's persistent refusal to take responsibility for his action apparently angered his fellow Republicans, who led the motion to censure the fledgling representative. Yesterday, the Colorado legislature voted 62–1 to censure Bruce, the first time in at least 126 years (since records have been kept) that a Colorado legislator has been formally censured. The Lord's humble supplicant on the verge of attack. AP photo by Javier Manzano, The Rocky Mountain News. "I did not foresee him losing his composure and kicking me," said photographer Manzano, at the hearing. 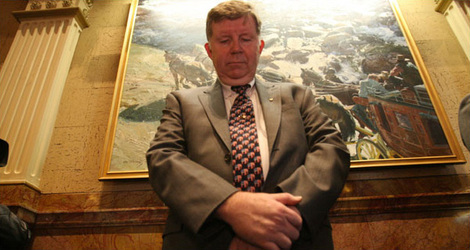 According to the News, the censure stated that "by striking the photographer, Bruce also violated the constitutionally protected 'right of public access to the proceedings of the House of Representatives.' "
It's unavoidable that popular curiosities get passed around the internet, a phenomenon known as "going viral." Many times, people who forward such items might technically be violating copyright. That might not be unwelcome to the original creators, because the benefit of the publicity might outweigh the damages caused by the theft of the work. 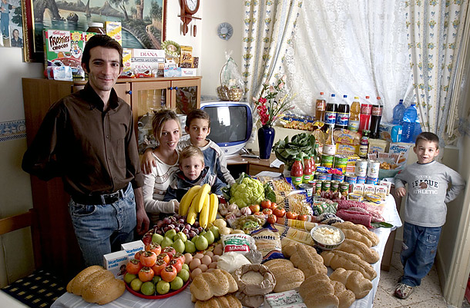 Italy: The Manzo family of Sicily. Food expenditure for one week: 214.36 Euros or $260.11. Photograph by Peter Menzel. What's really unfortunate is when someone's hard work "goes viral" and they don't even get credit for it. Such is the case with a set of pictures currently being passed around the internet showing families from a number of different nations pictured with the food they consume in a week. Unfortunately, all the people who have forwarded it to me have done so with the source and credit stripped from it, which was doubtless how they received it. 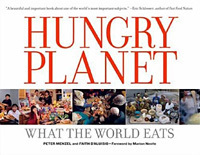 For the record, not that it will do much good, the pictures come from the website for a book called Hungry Planet: What the World Eats by photographer Peter Menzel and writer Faith D'Aluisio (Ten Speed Press). If you're interested in learning more about the project, here's the website. If someone sends the email to you, you might want to add the credit and the link before passing it on. Such innocent appropriation pales, however, in contrast to the reprehensible actions of one Carrie Kirby, for whom "frugal living" evidently extends to outright theft from other people trying to make a living. In a rather extraordinary piece on a site called "Wise Bread," Kirby 'fesses up to deliberately and systematically stealing the work of a photographer she hired. We sincerely hope that Kirby's photographer sues for damages. She would win. For the record, not that I need to remind our readers, people can always negotiate a buyout of unlimited rights with their photographer in advance—actually, they can do so at any time—which would be preferable to unilateral theft carried out furtively and with intentional malice. In the face of stiff competition from Douglas Bruce (who, come to think, kicked his photographer last week), we hereby designate Carrie Kirby as TOP's "Scoundrel of the Week." UPDATE: The Wise Bread feature entitled "Are You Stealing From Your Photographer?" by Carrie Kirby has been removed by Editor Will Chen. UPDATE #2, 1/31/08: Following the deletion of the article from the Wise Bread site, one of our readers, Keith Forbis, grabbed it from Google cache and posted it—whole and entire—on his site. A reader named Andre commented, wonderingly, "Keith, did you seriously just copy an entire article verbatim from someone else's web site in an attempt to condemn the theft of intellectual property?" After several scoldings of increasing intensity from Ctein and from me about author's rights, which you can track in the comments, Keith finally removed the article from his site. However, Keith has now secured permission from Carrie Kirby and Wise Bread to repost the article, so it's back again. You can see it here. Also, Carrie Kirby herself has responded to me and to her other critics in a letter entitled "Dear Angry Photographers." It's the last of the 36 comments for this post. Featured Comment by Joe Boris: "Discerning clients look for quality above pricing when choosing a photographer to capture life's special moments. And professional photographers must price their skill sets and output in accordance with competitors in their markets in order to remain in business and support their own families' needs. "A professional photographer's charges take into account years of education, training, experience, and the high overhead costs of running a small business in a very difficult economy. These costs include business insurance, health insurance, advertising, salaries, employee benefits, office/studio rent, utilities, commercial phone lines, high-speed internet, software upgrades, digital gear, and much more. "Extremely expensive camera bodies and digital backs, computers, hard drives, and printers will need to be replaced every 3 years to remain competitive in the marketplace. This is because digital capture technology is still in its infancy, and its professional-grade hardware becomes obsolete much sooner than did the necessary 'film' capture equipment of the past. "And the current ease of scanning and copying photos (© stealing) from a small business owner (the photographer) only makes this industry a more fragile and risky venture when clients choose to flagrantly disregard the terms of the contract they've entered into with their selected photographer. "Just because there's already a Mercedes plant built in South Carolina doesn't mean that they should give you a car for free just because you want one...or that they should have given you all the E-Class options you 'really wanted' since they 'seemed happy' when you paid for them their base model. "Choose the most skilled photographer you can afford based upon the quality of their work and the terms of their contract. Then honor your end of the deal. "Because stealing, as always, is a crime." 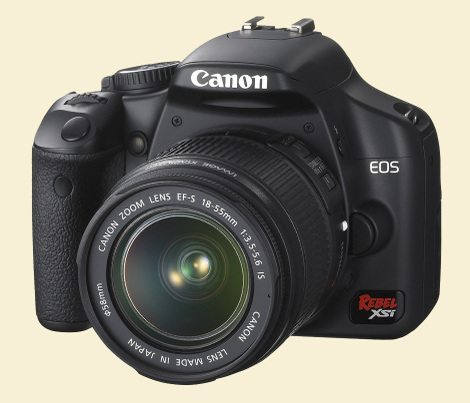 Canon has announced the latest update to its sales-leading entry-level Rebel DSLR. The New Rebel XSi (called the 450D elsewhere) offers some major improvements over its already popular predecessor: a 12-megapixel CMOS sensor, larger (although lower resolution) LCD screen with live view, and spot metering (a first in an entry-level Canon). Although its prism is still a mirror-box, the viewfinder has much higher magnification, a much-needed improvement in our opinion. It's also the first Rebel to take SD cards, including the high-speed SDHC variety. Continuing a questionable Canon tradition, it is also available in a rather spectacularly tasteless silver plastic finish. The new camera hits all the marks. The $800 asking price might seem a tad steep compared to the current cutthroat competition, but not to worry: the kit lens is the newish 18–55mm IS lens, which can be purchased for a mere $100 extra, a record-setting price for a lens with IS. (The lens is a bargain at its regular price of $200.) Nine hundred dollars isn't chicken feed, but the camera-lens kit combination gives you pretty much everything you could want to do really high-quality photography, circa early 2008—and there's also to be an auxiliary 55–250mm (~90-400mm-e) telephoto in case you'd like to do birds, critters, sports, or obsessive surveillance on your ex-wife. It looks like the world's leading DSLR has been decidedly improved, the better to continue its winning ways. There are a few more samples here. I could swear this particular picture is ever so slightly motion-blurred...just barely. What do you think? 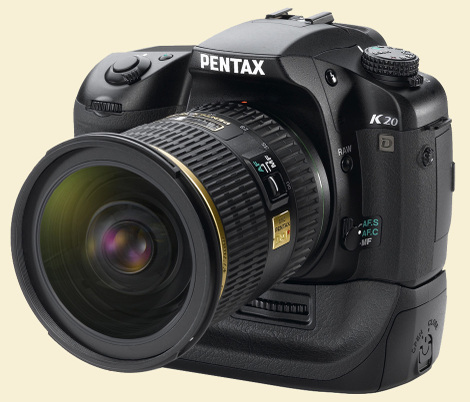 As expected, Pentax has announced updates to its two popular and successful DSLRs—the 10.2 MP K200D (below, shown with the new 18–55mm II lens) replaces the entry-level K100D, and the K20D (above, shown with the 16–50mm lens) replaces the mid-level K10D. Both have 12-bit color depth, available vertical grips, and dust-busters. The K20D has live view, and although shooting speed is an adequate 3 FPS in RAW mode, it's stated to be an astonishing 20 FPS when capturing small JPEGs (unless that's a typo). Presumably there are intermediate steps in between. Doubtless of most interest to most people will be the K20D's sensor. 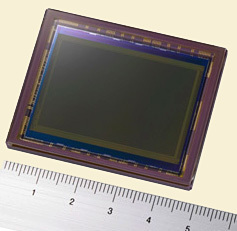 Pentax has collaborated with Samsung to develop a 14.6 MP CMOS APS-C-sized sensor. Interestingly, Pentax says that the peripheral circuitry for each photodiode is a mere .13 micrometers thick per pixel, allowing the light-gathering area of each pixel location to be the same size as a pixel in a typical 12-MP sensor. Pentax states, "The larger photo diode gathers more light in a shorter time and therefore can respond more sensitively. 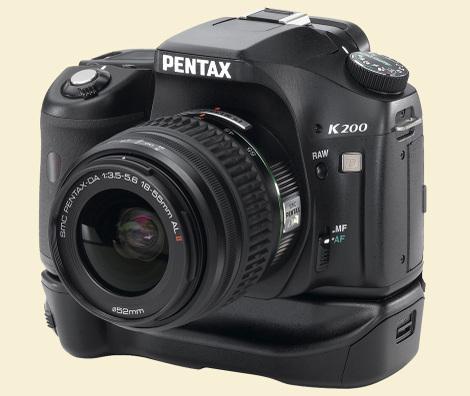 As a result, the K20D is able to achieve higher sensitivity levels (up to 6400 in the expanded ISO mode). 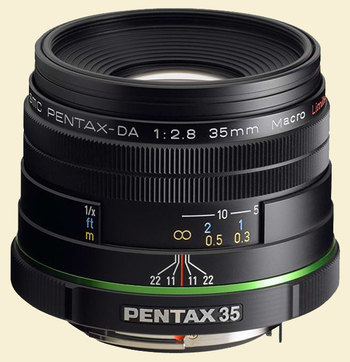 Also, there is a more direct light path to the pixels, allowing higher quality results from classic Pentax lenses." Along with the new cameras come several new DA (digital-specific) lenses, including 200mm, 300mm, and 35mm Macro Limited (below) prime (single-focal-length) lenses, and a 55–200mm zoom. UPDATE: Street price should be around $1300. 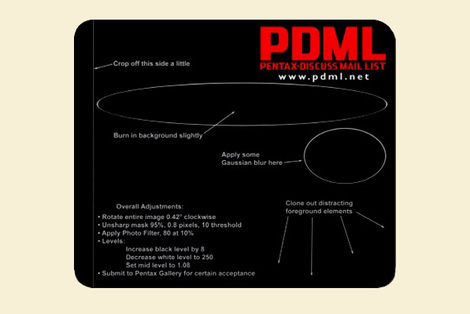 Mark Roberts has created a PDML (Pentax-Discuss Mailing List) mousepad that collects (gently tongue-in-cheek, of course) in one handy ready-reference the most common tips dispensed by PDML members for how to improve photographs. 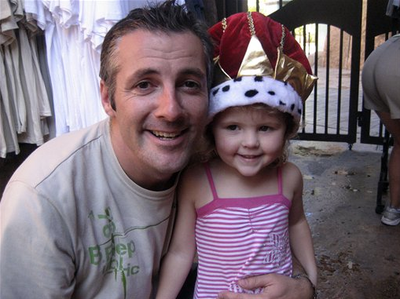 Note that all profits from sales of PDML swag go to the National Childhood Cancer Foundation. While you're there, check out Ken Archer's classic "Photography is simple" quotation, on the middle T-shirt in the top row. It's one of my all-time favorite photography-related quotable quotes. Johnston's Constant, immodestly named but what the hey: The near-Universal desire for a Universal standard of taste, which nevertheless doesn't exist. Corollary no. 1: The "You like that?!?" corollary. Amazement over the fact that other people lack one's own good taste. Corollary no. 2: The "What can I do to make you love me?" corollary. The wistful desire for some ironclad and indisputable method of pandering to everyone at once. A fond but futile hope. The fact is, no matter how hard you try, no matter what you do, some people are going to like it, some people are going to hate it, and some people are going to be indifferent. C'est la vie. 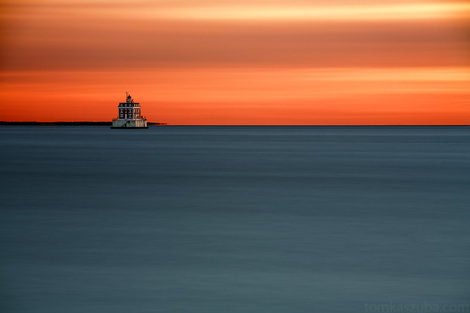 Photographer Tom Kaszuba used an 87-second exposure with his Canon 5D to smooth out both the sea and the sky in this striking seascape. (Click on the image to see it larger.) You can see more of Tom's work by visiting his web gallery. Perhaps the most eloquent summary of black American history I ever heard was given by Jesse Jackson on Tavis Smiley's interview show on PBS. On that occasion, Rev. Jackson said that he thought that what we call the "I Have a Dream" speech should actually be called the "Broken Promises" speech. 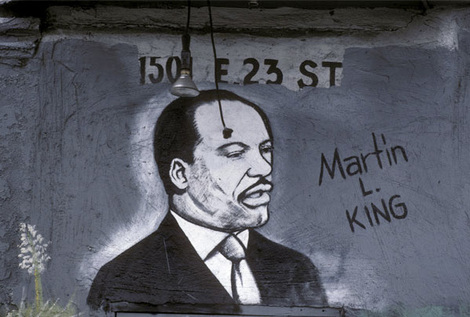 If you think about it, everybody knows Martin Luther King, Jr., had a dream. But what was the dream? It was simply that America would one day fulfill its explicit promises to all of its citizens. I have to admit that even though I'm an Edwards supporter in the current Presidential race—for as long as that lasts—I felt a curious welling of pride when Barack Obama won the Iowa Caucuses. I felt proud of my country. Obama's victory made me think that maybe we've reached the point at which a black candidate for President can be appraised for who he is and what he believes and how he might lead rather than for what he happens to be. That would be a promise fulfilled. And, incidentally, I'm in favor of moving today to August. Getty Images, the world’s biggest supplier of pictures and video to media and advertising companies, has put itself on the auction block and could fetch more than $1.5 billion, people briefed on the situation said Sunday. Getty, founded in 1995 in Seattle, has grown through a series of acquisitions into a go-to source for visual media, claiming an average service of 3.2 billion images and 4 million unique visitors at its Web site each month. The company’s main selling point is the licensing of high-quality images from professional photographers around the world. Among its main clients are advertising agencies and media companies, including The New York Times. It also offers video footage for use in movies, television and the Internet. I love books of landscape photography, both as collections of beautiful images and as inspiration for my own work. Like many folks I started out with the usual suspects—Ansel Adams, the Westons—and moved on to pristine color landscapes by photographers like Art Wolfe and Robert Glenn Ketchum. I’m still a sucker for such eye candy, but with age I’ve come to appreciate the subtler, more commonplace beauty of austere or agricultural landscapes. Richard Brown’s poetic images of rural New England got me started. I can’t handle what you might call grunge landscape like much of Robert Adams’ or Richard Misrach’s work; too ugly and depressing. But not every beautiful landscape image has to include crashing surf or a towering mountain. Sometimes an endless prairie sky is enough. 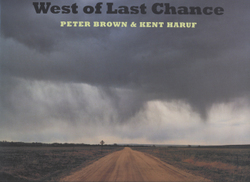 West of Last Chance is an unusual amalgam of large format images by Peter Brown and short prose pieces written by Kent Haruf. 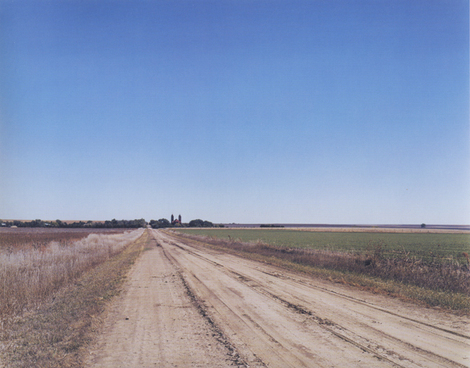 Fiction readers may know Haruf as author of Plainsong (Knopf, 1999), a novel deftly crafted of spare, direct prose echoing its prairie setting. 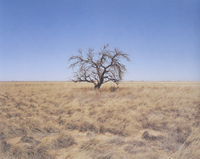 His work here shows the same skill, with brief vignettes that capture the essence of rural life on the Great Plains. Brown’s photographs are equally understated yet direct. Dirt section-roads run to the horizon under cloudless skies; a single bored-looking cow lies down amid limitless acres of stubble. The occasional junkyard or derelict tourist trap is offset by breathtaking views of that immense high-plains sky, or a lone cottonwood in a sea of grass. There are also a number of nicely done environmental portraits. The consistent color palette is one of subdued pastels, worn by years of sun and wind. Many of the small town images of hand-lettered signs, grain elevators or empty storefronts suggest David Plowden’s work, done in color. They have the same elegiac feel, as these farm communities are rapidly dying out. The grasslands have a subtle beauty that is difficult to capture photographically. Likewise, the tiny farming towns on the plains have a rough-hewn character less obviously attractive than a quaint New England village. Brown's photographs have a quiet grace that does justice to their subjects. I’ve made several extended visits to South Dakota. Standing in the prairie wind under an impossibly huge sky, one feels very small. It’s almost like being on the ocean in a small boat. Peter Brown’s photographs, and Kent Haruf’s prose, succeed in conveying that feeling. Physically the book is very nice. Its size at 10.2 x 12” permits large enough reproductions to see what's going on in the images, and none are defaced by printing them across the fold. The paper is semi-matte, with little sheen and very minimal gloss differential. The typeface chosen for Haruf’s text is, I believe, a Century Schoolbook variant, plain as a school primer, set in a smallish point size that whispers rather than shouts. Good work all around. West of Last Chance was supported by Duke University’s Dorothea Lange-Paul Taylor prize, awarded to Brown and Haruf in 2005. The prize recognizes work in the spirit of An American Exodus (1939). 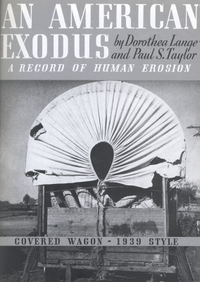 This was a pioneering book combining Dorothea Lange’s iconic photographs with her husband Paul Schuster Taylor’s eclectic mix of quotations from dust bowl refugees, farmland sales brochures, newspaper clippings and historical anecdotes. Their goal was to produce a book that would inform readers about the Depression-era farm refugee crisis more completely and vividly than simple journalism could. For an interesting take on An American Exodus and its subsequent influence, check out A.D. Coleman’s erudite essay in Photo Techniques magazine, November/December 2006.